Recently Rhode Supply had an excellent article comparing 5 different notebooks they love for traveling. 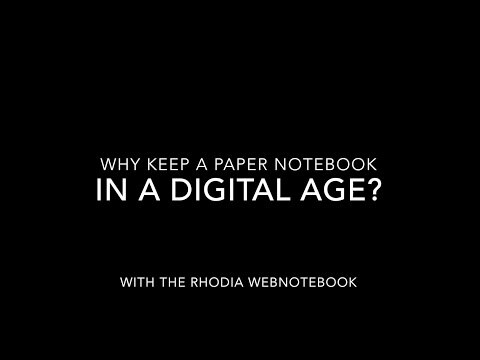 We were thrilled to see the Rhodia Webnotebook included in the list! Especially when we saw their comment, “This notebook might just be the best notebook out there, period.” Fantastic! You can see the entire article comparing their five favorite travel notebooks here. The Rhodia Webnotebook is a favorite for travel and day to day use because the soft-touch, firm cover can hold up to all kinds of abuse and still look great, the rounded corners make the notebook easy to get in and out of your bag, and the 90g acid free paper will hold your memories for years to come. The Webbies come in a variety of sizes including A5, A6, landscape-oriented notebooks, and reporter style notebooks. The pages are lined, blank, or dot grid. You can see more information about the Rhodia Webnotebooks here.